In this article, we shall look at the arterial structures supplying the brain and spinal cord. Fig 1.0 – Arteriogram of the arterial supply to the CNS. 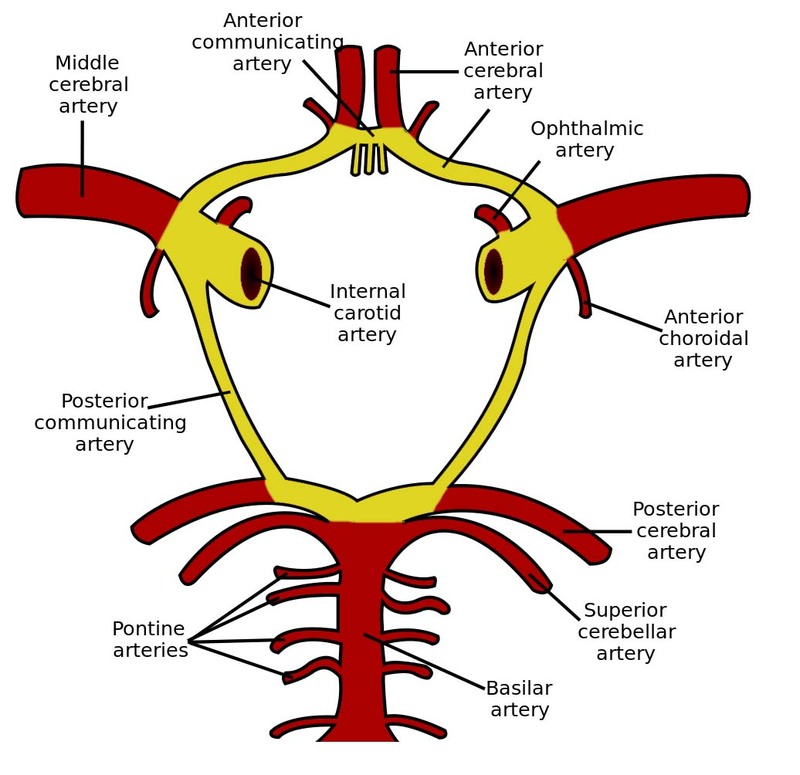 Posterior communicating artery – acts as an anastomotic ‘connecting vessel’ in the Circle of Willis (see ‘Circle of Willis’ below). Anterior choroidal artery – supplies structures in the brain important for motor control and vision. The right and left vertebral arteries arise from the subclavian arteries, medial to the anterior scalene muscle. They then ascend the posterior aspect of the neck, through holes in the transverse processes of the cervical vertebrae, known as foramen transversarium. The terminal branches of the vertebral and internal carotid arteries all anastomose to form a circular blood vessel, called the Circle of Willis. Anterior cerebral arteries – terminal branches of the internal carotid arteries. 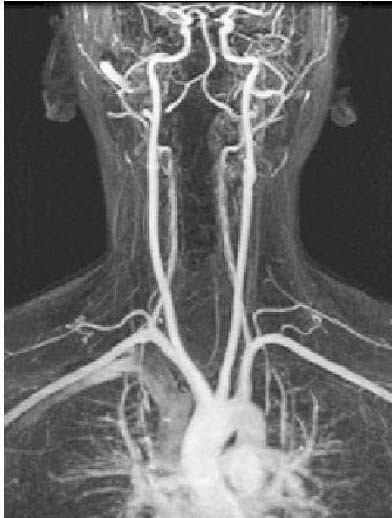 Internal carotid arteries – located immediately proximal to the origin of the middle cerebral arteries. Posterior cerebral arteries – terminal branches of the vertebral arteries. Anterior communicating artery – connects the two anterior cerebral arteries. Posterior communicating artery – branch of the internal carotid, this artery connects the ICA to the posterior cerebral artery. Embolism – obstruction of a blood vessel by an embolus formed elsewhere. Out of these four, the most common cause is embolism. In many patients, the atherosclerotic embolus arises from the vessels of the neck. An aneurysm is a dilation of an artery, which is greater than 50% of the normal diameter. They are most likely to occur to occur in the vessels contributing to the Circle of Willis. They are particularly dangerous – producing few symptoms until they rupture. Upon rupture, blood typically accumulates in the subarachnoid space – with a subsequent increase in intracranial pressure. Which vertebral level marks the bifurcation of the common carotid artery? Which of the following is NOT a branch of the internal carotid artery? 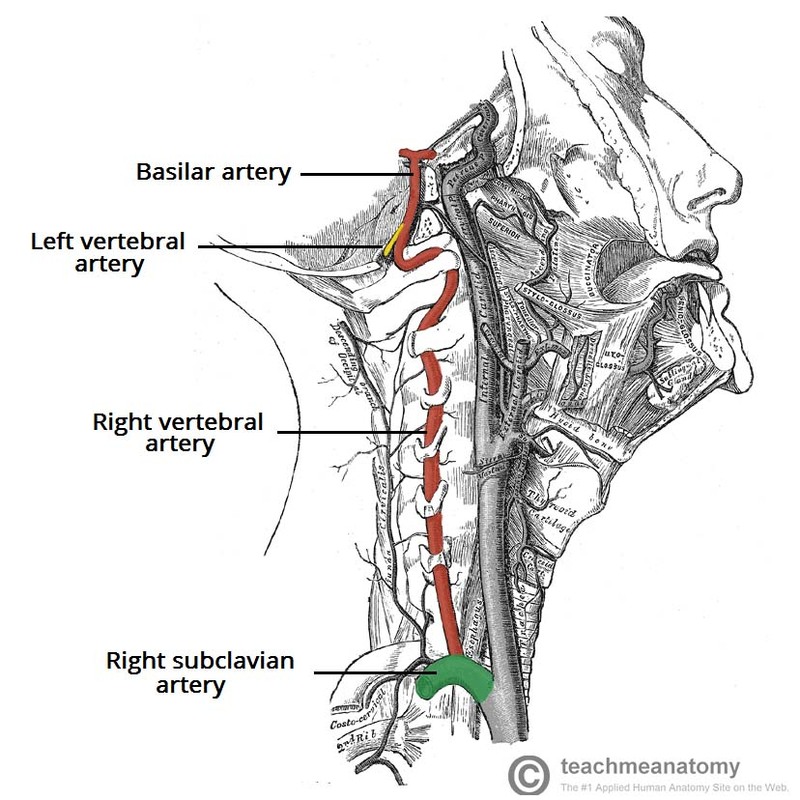 The vertebral arteries arise from which artery?